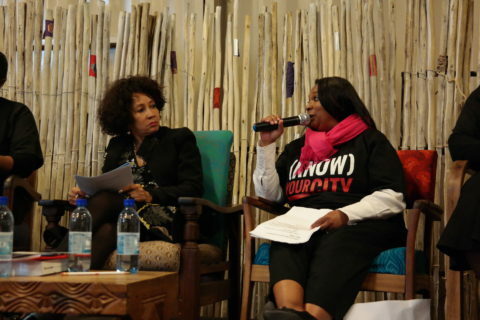 What does it mean to “Know Your City” in South Africa? 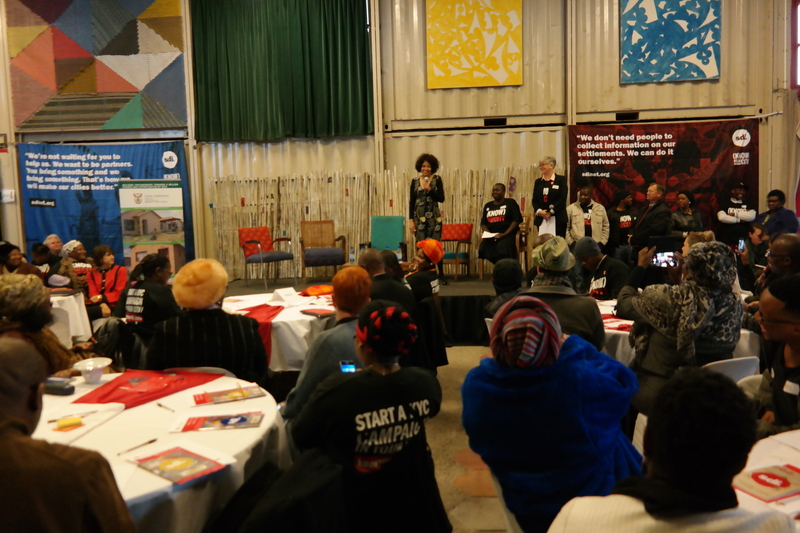 “What’s the difference when we collect data on our own informal settlements?” – a question that Melanie and Nozuko asked to a packed room of 150 people, including the South African Minister of Human SettIements, Lindiwe Sisulu. 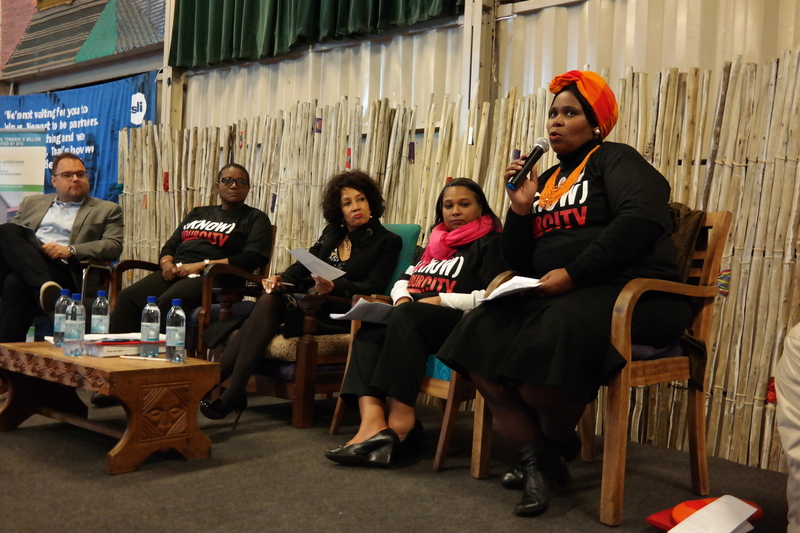 As urban poor residents and coordinators of social movements (FEDUP and ISN), it was noteworthy that both Nozuko and Melanie shared the stage with the minister as equals. 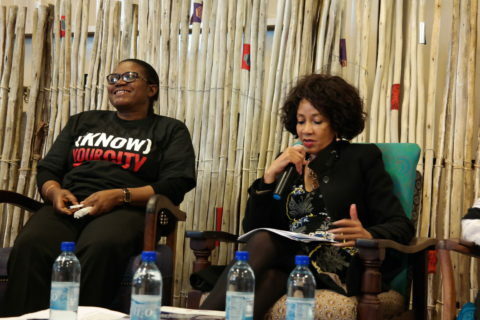 Nozuko (far right) sharing the stage with FEDUP Chairperson Rose Molokoane (far left), Minister Lindiwe Sisulu (centre left) and ISN’s Melanie Johnson (centre right) in a panel discussion on data collection from vulnerable population. In a world in which digital data (including data on informal settlements) is increasingly collected and owned by “experts”, Melanie and Nozuko introduced a different narrative: “As FEDUP and ISN we have profiled 1500 informal settlements in South Africa over the past 20 years.” This is close to half the number informal settlements in South Africa (currently estimated at between 2700 and 3200). 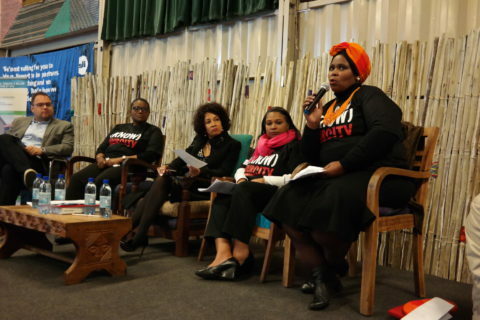 On 7 September 2017, the South African SDI Alliance co-hosted the Digital Impact World Tour with SDI and the US-based Stanford Centre for Philanthropy and Civil Society in Cape Town’s Langa township. This one-day “stop” – the eighth on the tour and the first in Africa – discussed the role of data collection in the production of social change in the digital age, and in particular the power of community-gathered data for partnerships with local governments. Minister of Human Settlements Lindiwe Sisulu, welcoming participants of the conference and setting the stage for a conversation to share ideas and experiences. 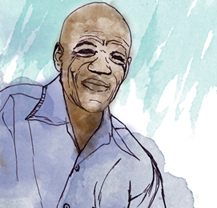 To us, data collection is about organising communities. We don’t just collect information but collect people too. The minute we start collecting data about ourselves, we begin to understand ourselves as a collective and in a fairly deeper way. We understand the context of our settlements and we go deep into the household level when collecting data. When we profile and enumerate settlements, data is collected by community members living in that settlement. We make sure that we count everyone. This is why sometimes when you compare our data and government’s data they are totally different. We also communicate the data back to our communities in a way that communities understand – government does not always do this. This data helps us to make our own community based plans. It is about looking at problems from our point of view and finding solutions. It is about opening up a space to plan for our own upgrading. It is necessary for government to get involved because we do have solutions on the ground. Amidst conversations on digital dependencies and innovative digital organisations, the urgency for government to “get involved” and support community-gathered data was evident. 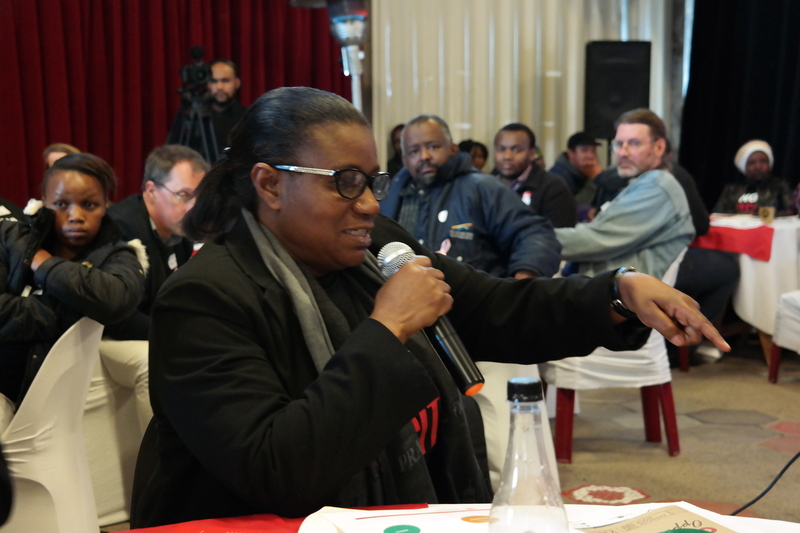 This emerged strongly in contributions made by members of the broader SDI network, South African SDI Alliance, Social Justice Coalition and International Budget Partnership, a fellow social movement and partner in the sector, who spoke about community-gathered data through social audts. Fellow partners making contributions based on their own experiences and work that they are doing. 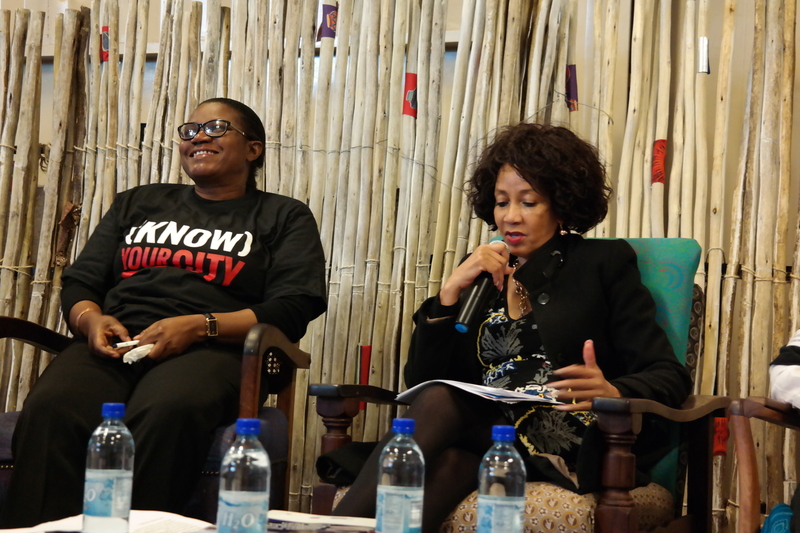 The task to the minister and all government representatives in the room was clear, whether local, provincial or national: commit to supporting the Know Your City campaign on community-gathered data for co-productive partnerships between slum dwellers and local governments. 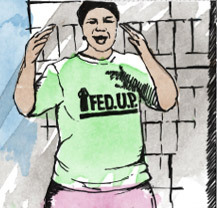 Though organized urban poor communities have been profiling and enumerating their settlements for over 20 years, the campaign (launched in 2014) established a digital platform to house this data and anchor the coproduction of inclusive urban development by communities, city governments and global urban development actors. We have the power, ability and knowledge to collect data and organise our communities but what we want is for government to walk with us. We already started but we need a partnership to scale up our efforts. We want support from government, non-government organisations, private sector and academia. 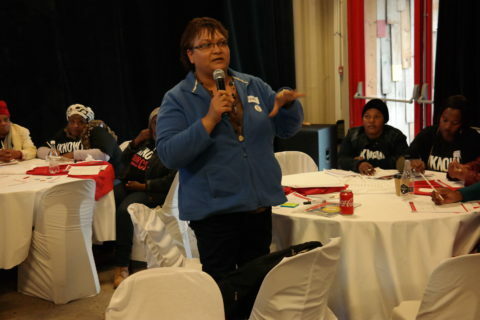 Rose participating during the conference and emphasising the importance of partnerships between communities and government. 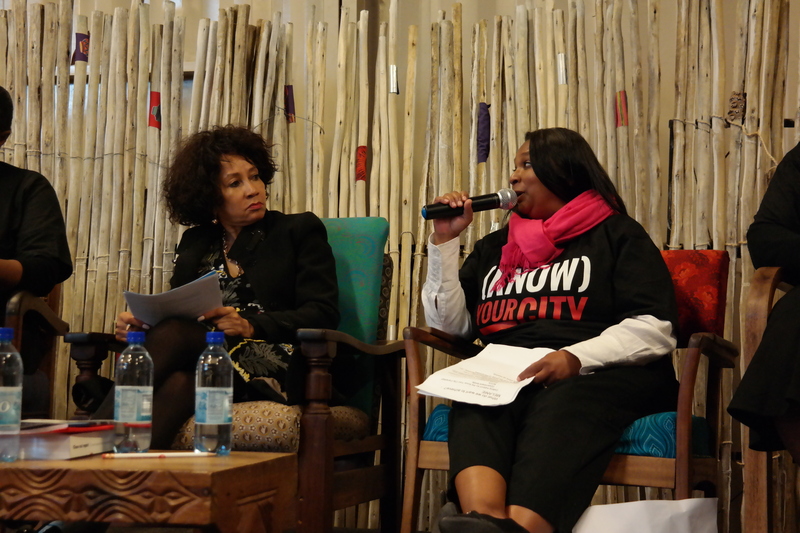 The minister committed to financially supporting the work of community-gathered data in cities across South Africa. For South African organisations and movements in the sector, THE next steps are clear: “We need to follow up the minister’s pledge to support data collection by informal settlement residents for all organisations” (Rose Molokoane, national SA Alliance coordinator). Minister Lindiwe Sisulu committing that her department will support communities in data collection of their settlements.